Captivating the audience and making a lasting impression is key to a successful presentation. 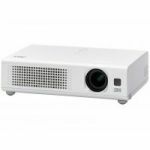 The VPL-ES1, the Sony entry level SVGA projector, will help anyone make a great presentation by offering a quality performance at an affordable level. 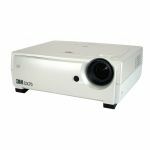 The latest technologies are incorporated, enabling the projector to achieve a brightness of 1500ANSI lumens, crisp and clear picture projection and utmost ease of use even at this attractive price point. 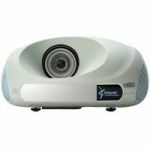 Its short throw projection lens allows the VPL-ES1 to be placed close to the screen away from the audience. Making business presentation from a notebook computer or showing video content to a classroom, the VPL-ES1 reveals superb images, anytime, anywhere.